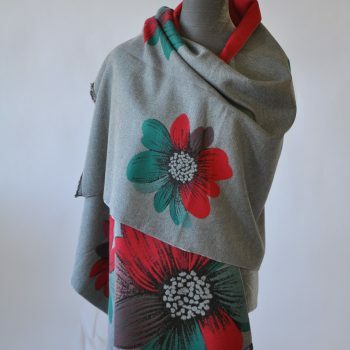 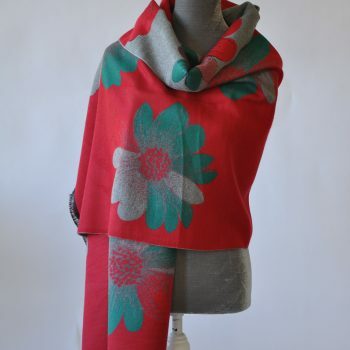 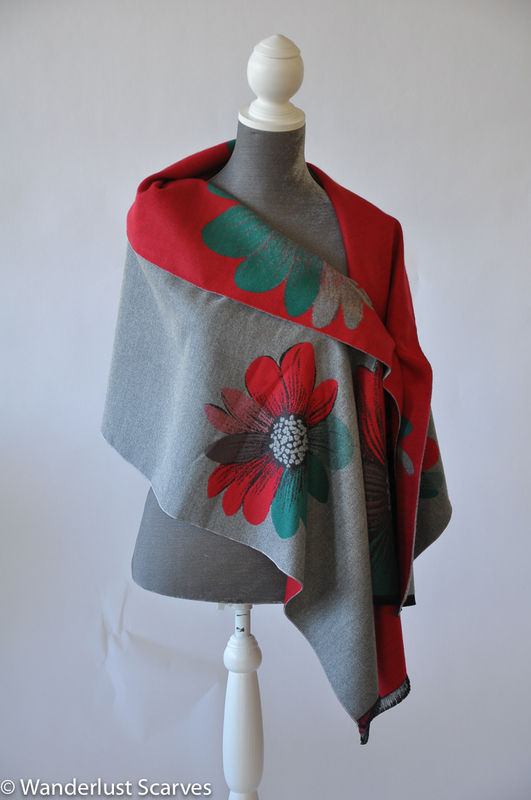 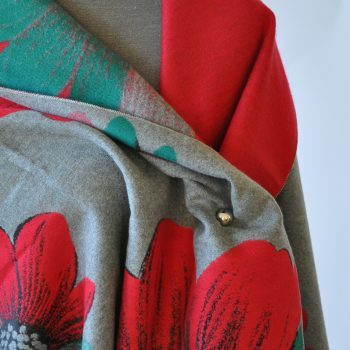 This stunning scarf is extremely soft and cozy, with a dramatic floral pattern. 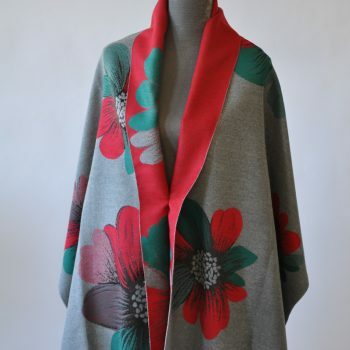 Whether you wear it as an outdoor shawl to replace your jacket or over a simple turtleneck and pants for a fashionably warm weekend outfit. 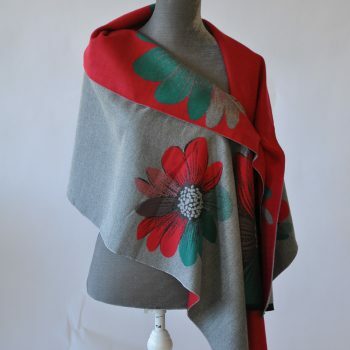 Grey with red and teal green on one side and red with grey and teal green on the reverse side, touches of black make it very versatile.